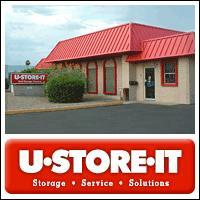 At U-Store-It we serve all of your self storage needs. With over 400 self storage facilities located across the United States, U-Store-It has a self storage unit for you. At U-Store-It we also have all of the packing supplies, moving supplies and boxes you need, making U-Store-It a one-stop shop for all of your storage services.Whether you are interested in household storage, business storage or vehicle storage, you can store it at U-Store-It. Do you need temporary storage while you are moving? Do you need car storage or boat storage to free up your driveway? Do you need secure self storage for important business documents? Or do you just need some extra room? Whatever the reason, you can trust your belongings to U-Store-It.